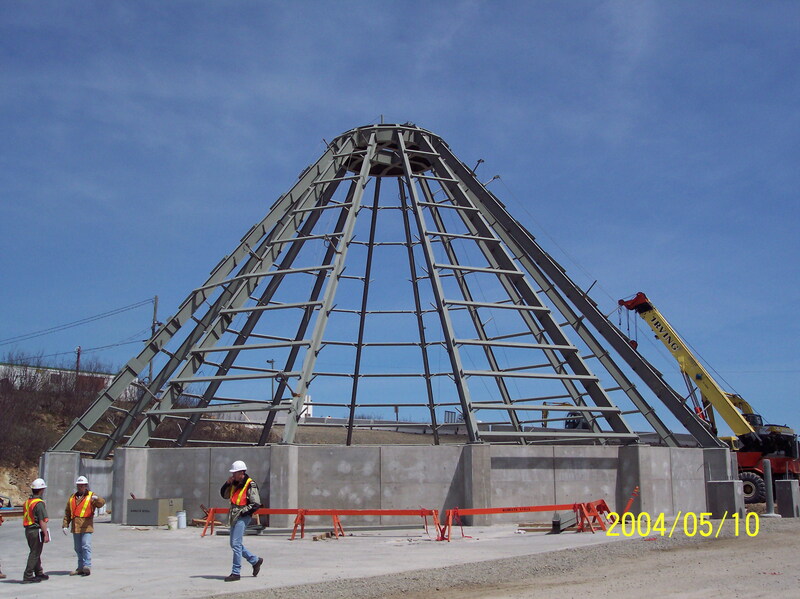 For wastewater treatment facilities, client Geomembrane Technologies Inc.
Aluminum and stainless steel arch or truss support systems have been designed for approximately 40 geomembrane cover installations across the United States, Canada, and Australia. 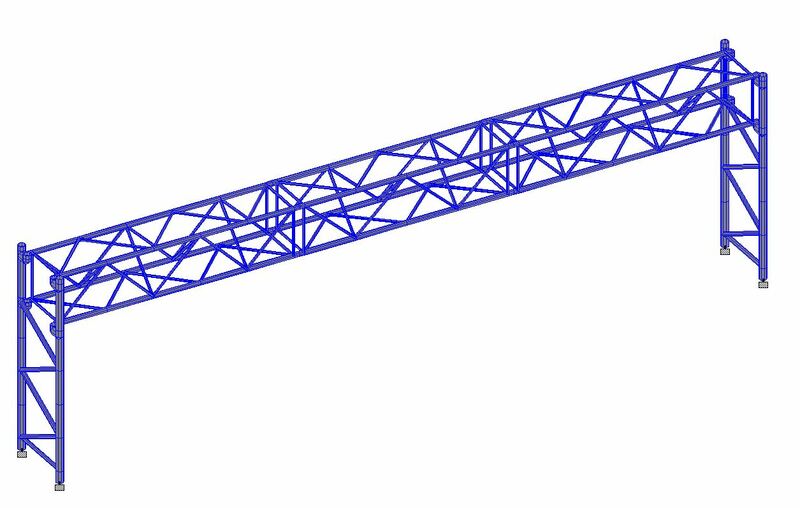 Spans have ranged from 3.6 m (12 ft) to 12 m (40 ft), and supports have conformed to the Aluminum Specification, CAN/CSA S157, or the Australian Aluminum Structures Standard, depending on jurisdiction. 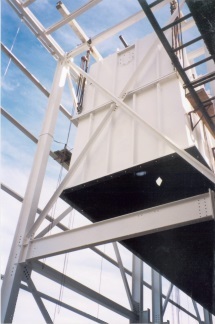 Installations have included aluminum walkways and railings in some cases. 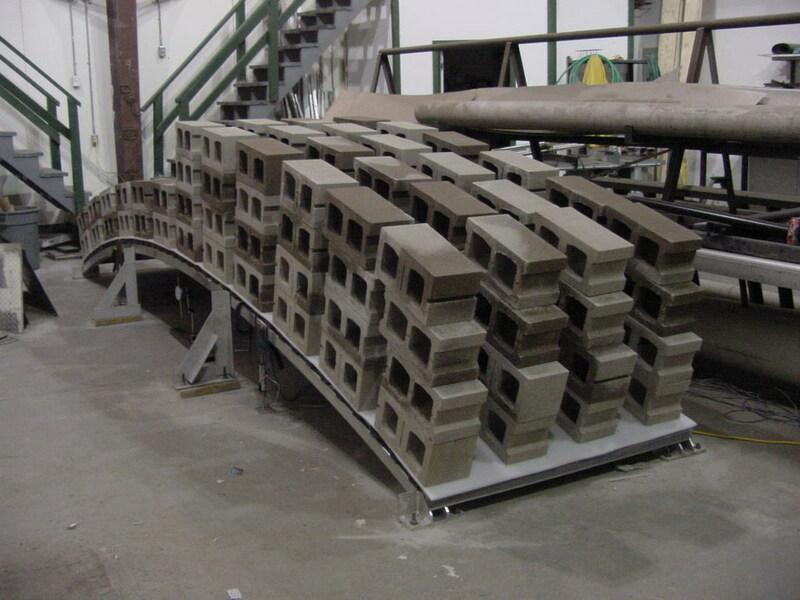 A full-scale test of one arch was completed with the client to verify the failure mode and capacity of shallow arches. For highway signs, clients include New Brunswick Department of Transportation & Infrastructure (NBDTI), Transportation & Infrastructure Renewal Nova Scotia, L & A Metalworks. 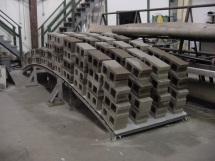 Numerous site specific designs as well as a new standard design for NBDTI have been completed in conformance with the Canadian Highway Bridge Design Code. 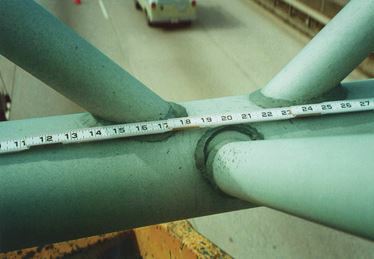 Cantilever, overhead bridge, and single post roadside sign structures have been designed, and existing structures assessed where sign area was increased. 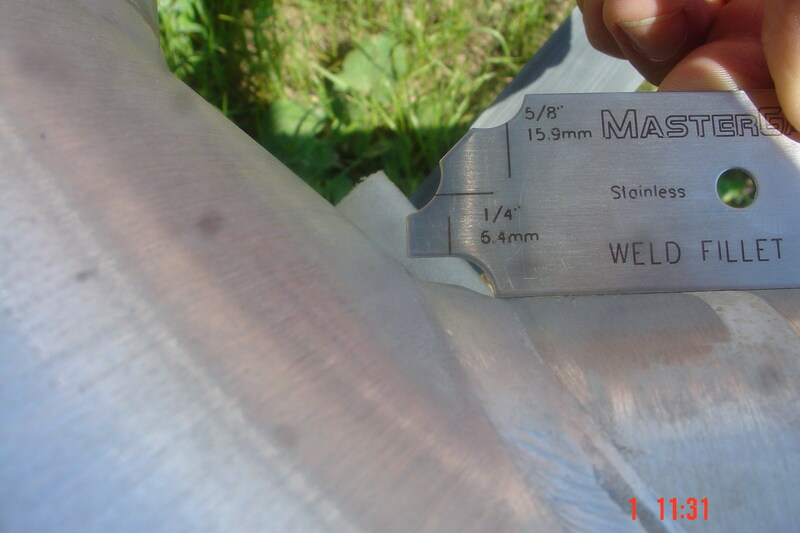 Clients include Bourque Industrial Ltd, Noranda Brunswick Mine, McSheffery Industries Ltd, Sunny Corner Enterprises Ltd, L & A Metalworks Ltd., Warren Environment. Numerous tanks have been designed to API 650 or to the National Building Code where applicable. 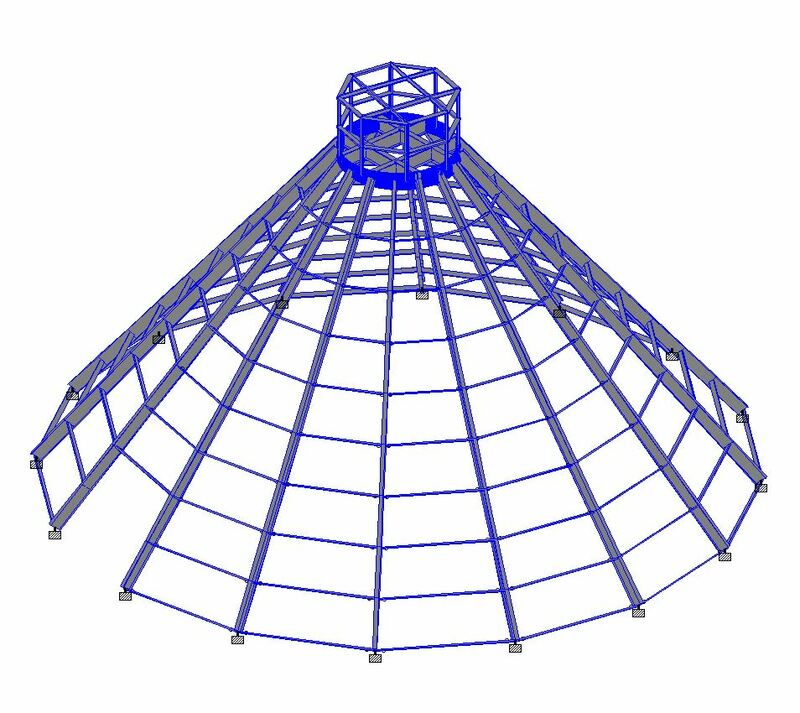 Because of Skarborn Engineering Ltd’s expertise in welding consulting, welding access and distortion considerations are included in the details for all structures. 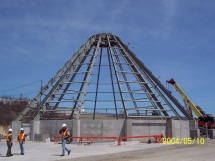 Other examples of designs for industrial structures include an inverted conical storage structure for gypsum at the Coleson Cove Generating Station, rectangular bin with supporting structural frame for REPAP Groundwood Mill, and gantry crane for handling spent fuel cannisters at Pt Lepreau Generating Station. 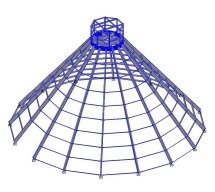 Structural analysis and design programs and classical analysis techniques are used for the design of structures. Warren Environment has designed many tall steel stacks for the oil and gas industry, and Skarborn Engineering has performed design reviews of these for a number of Canadian locations.